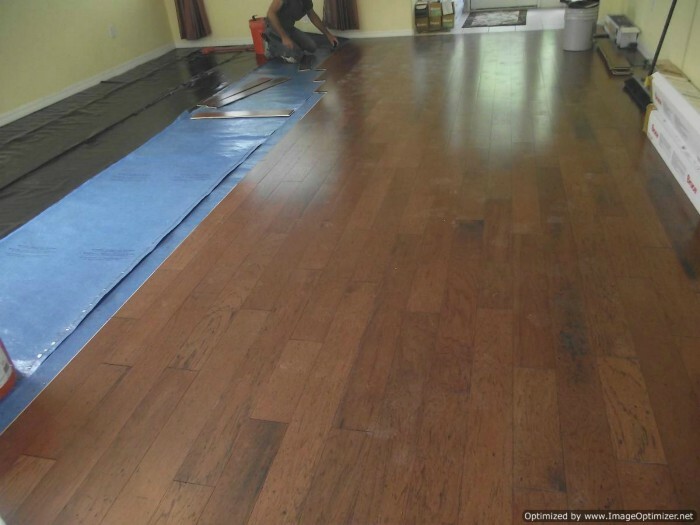 This Bruce floating hardwood review is based on my installation in a home. 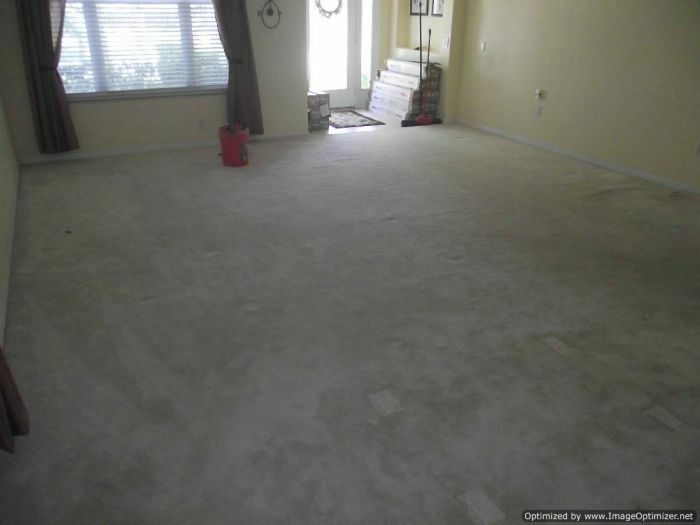 It installs just like laminate flooring. This particular product is actually made of wood. 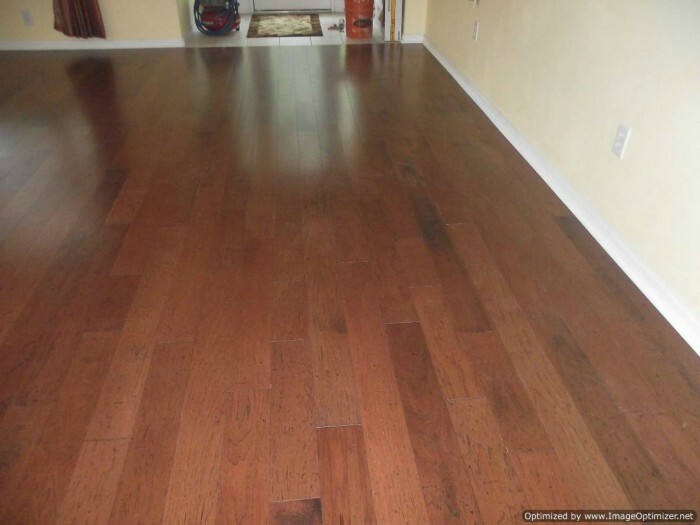 It is like engineered wood flooring with a small layer of wood on the surface, (about 1/8 inch). It is made in random lengths. Its 5 inch wide by 10mm or 3/8 inch thick. 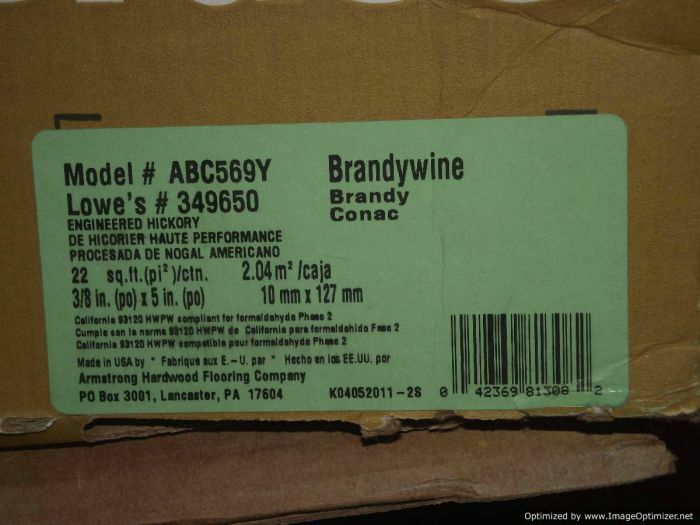 Purchased at Lowes its Hickory, Brandywine. Made by Armstrong, in the USA. 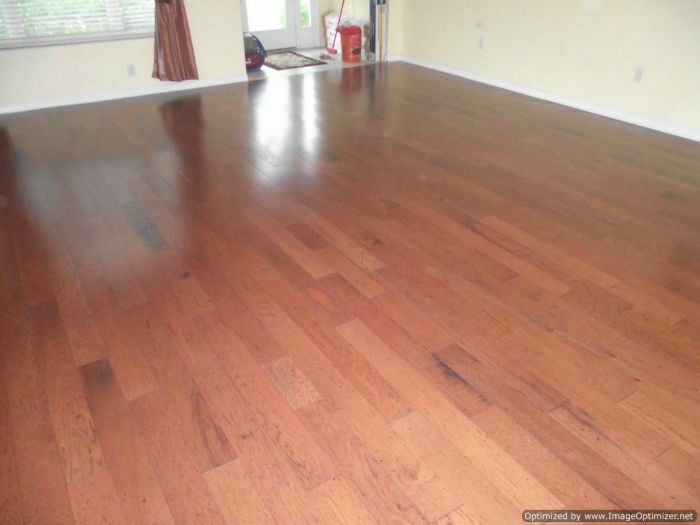 The price I see online is in the mid 4 dollar range per square foot. As you can see in this photo there is a variation in shades and grains. There were also some pieces that had a lot of black in them. My client had me set most of those aside. Like I mentioned above it is like installing laminate flooring. It has the drop and lock system or what They call Lock and fold. It was relatively easy to install. Although I didn't have to install any under door jambs. I think that if I had to it would have been more difficult. The reason I mention this is because I had to tilt the planks up at an angle to engage the long sides. You can't tilt the planks when installing under a door jamb. Their directions say that part of the locking system will need to be shaved off in order to slide the plaks together once its under the door jamb. If you have to shave part of the locking system off, its best to use some wood glue in the joint when joining the planks. One other small issue was when I locked the long sides together and pushed the plank down was it didn't completely lock. I had to use my tapping block to tap the sides together. If your going to install the product you have to look closely at the side joints. The boards may look connected but there still a very small gap. One other thing I noticed was after the floor was installed I could hear a little squeaking sound sometimes when walking across it.